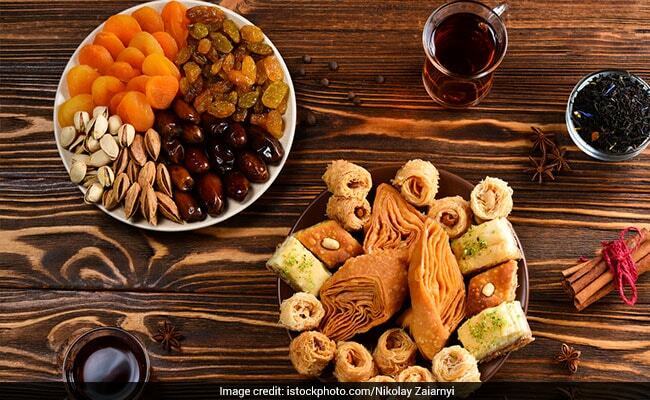 Ramadan is just around the corner and the festive season is hard to miss. The holy month of Ramadan holds immense significance in the Islamic faith. It is believed, that the month marks the first revelation of the Holy Quran. 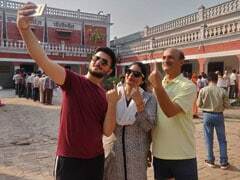 It is also believed that during this holy month, the doors of heaven are open and the devils are tied back with chains behind the closed gates of hell. Muslims observe ritualistic fasts (roza) as a mark of their devotion. They abstain from eating anything and go without a drop of water until evening where they gather together for a lavish feast, Iftaar. From meaty biryanis, kormas, niharis to a dozen kind of breads, and divine sharbats, a traditional Iftaar spread is indeed a foodie's dream come true. If you are attending an Iftaar this year for the first time, there is a strong chance of you feeling full with all the delicious starters and mains. But we say, you must make room for the sweet and happy endings to your day with the ever-so incredible and indulgent Ramadan desserts and sweetmeats. Why you ask? Because of their sheer richness and flavour. From the melt-in-mouth shahi tukda, to the scrumptious phirni, there are options galore. Here are some of our favourite Ramadan desserts you must try. Shahi tukda, translates to 'a royal piece' or a 'royal bite', and we think there could not have been a name more befitting. Often called a close cousin of Arabic dessert Umm Ali, shahi tukda is made by frying small pieces of bread, dipped in condensed milk, and dry fruits and infused with a hint of cardamom. The Awadhi dessert is also famous across Hyderabad as double ka meetha. A scrumptious and fragrant milk and rice-based Indian dessert, phirni is both a Sehri and Iftar favourite. 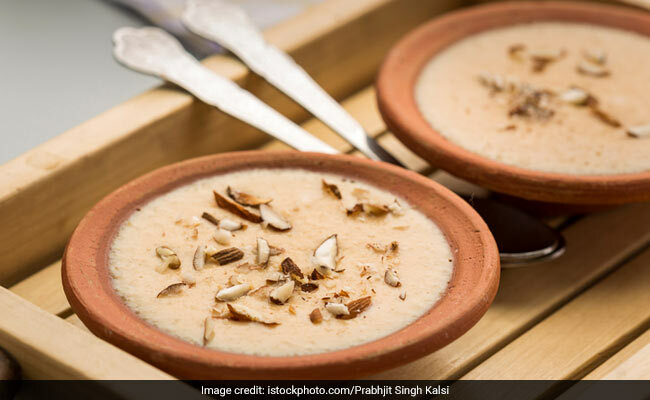 Prepared lavishly across Muslim households in India, during Ramadan and Eid festivities, phirni is made by thickening milk with rice flour and flavoured with cardamom, saffron and rose water. The rich and creamy dessert is topped with generous layers of chopped dry and fresh fruits. This Turkish classic is as indulgent as it gets. The crispy and crunchy dessert is made with layers of filo pastry laced with butter and a delectable layer of chopped pistachios. Baked until golden, the flaky pastries are then soaked in rose flavoured sugar syrup. There, there, we saw you slurping! Here's a delicious recipe of baklava you can try your hand at. 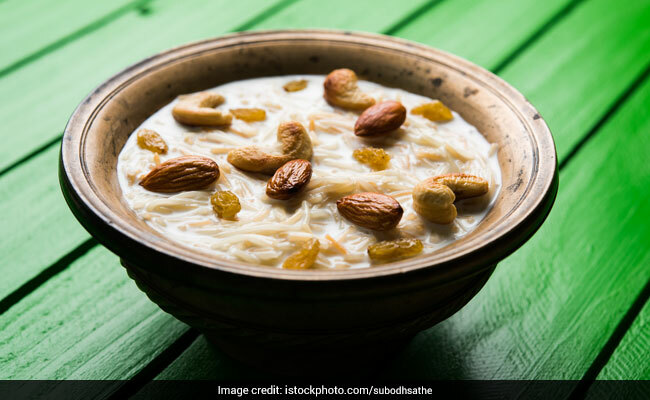 Sheer khurma or sheer khorma, literally means "milk with dates" in Persian. A delicious Persian pudding made with vermicelli, milk, date and host of chunky nuts. The loaded dessert is prepared for Iftar spreads and Eid festivities across Afghanistan, Indian subcontinent and parts of Central Asia. Khajla is a traditional dessert prepared during Ramadan. It is a deep-fried vermicelli pastry. Made of flour and fried in ghee, it is usually eaten during Sehri. One is supposed to crush the flaky pastry, soak it in milk, and eat it like a cereal. 'tis the season of festivities. Load up on these Ramadan special delicacies, and do let us know if we have missed out any of your favourite in the comments section below.